The objective of the MoMAR (“Monitoring the Mid-Atlantic Ridge”) initiative is to study the dynamics of deep-sea hydrothermal systems on the Mid-Atlantic Ridge, south of the Azores islands. Hydrothermal circulation at mid-ocean ridges impacts the transfer of energy and matter from the interior of the Earth to the crust, hydrosphere and biosphere. On the fractured seafloor, seawater circulates through the permeable oceanic crust, exchanges chemicals with the surrounding rocks, and is heated to temperatures reaching 400°C. 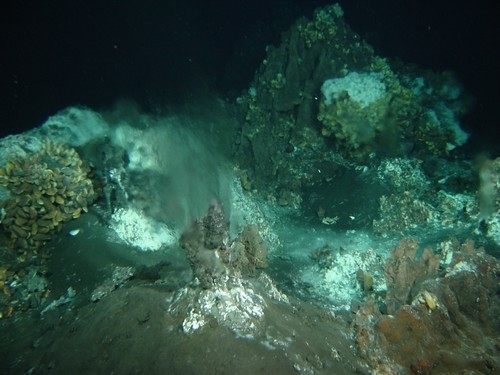 This hot fluid flows up and is expelled at hydrothermal vents, forming emissions of different physico-chemical properties (from black smokers to diffuse venting). The unique faunal communities that develop near these vents are sustained by chemosynthetic micro-organisms that use reduced chemicals (H2S, CH4, …) presents in the hot fluids as energy sources. Momar-D is one of the ESONET demonstration actions. 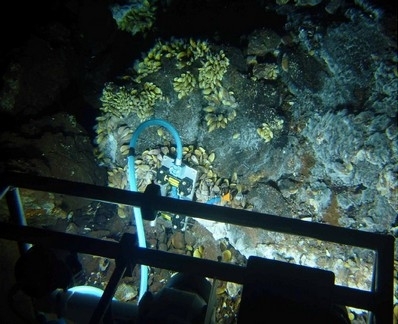 It aims at testing the deployment and functioning of a multidisciplinary deep-sea floor observatory centred on the Lucky Strike hydrothermal vent field. 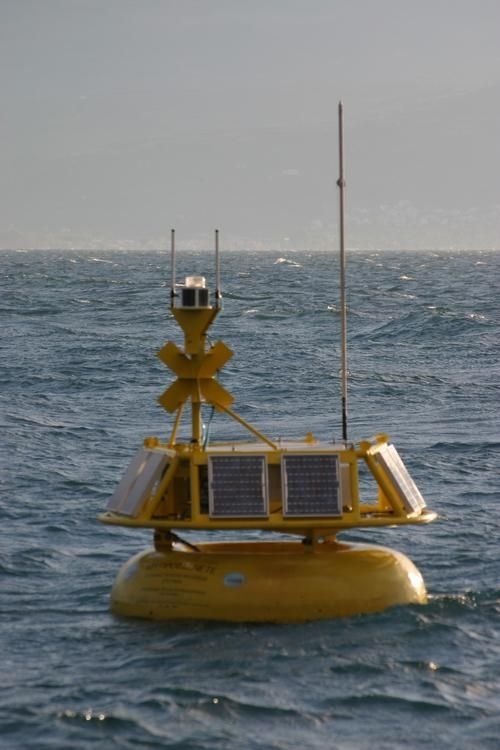 This core observatory will use two SEAMON nodes acoustically linked to a surface buoy that will ensure satellite communication to a land-based station. The experiments planned at the Lucky Strike vent field will explore the dynamics of the geosphere, its impact on hydrothermal fluid properties, and on the associated fauna and the exchange with the global ocean. MoMAR-D will provide the technological know how and the scientific impetus to promote durable monitoring solutions such as the use of a cable, with the extension of real-time monitoring of volcanic, hydrothermal and biological processes to areas nearer the Azores Islands, to assist the Azores region with issues related to volcanic hazards and durable management of environmental resources. 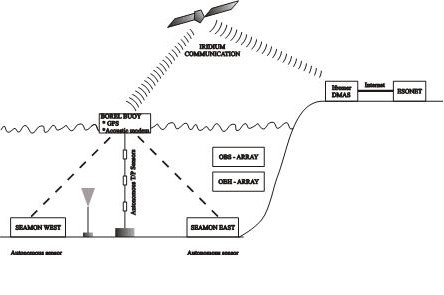 The ESONET Azores node is planned to extend the on-land seismic and volcanic monitoring system offshore, and to provide holistic information concerning these habitats, essential for the ecosystem-based management of the region. Discover the new web site http://www.ifremer.fr/momarsat2010/.